staff bathroom complete the villa interiors. agave, and specimen aloe & cacti. Bay, restaurants, local shops and bars. 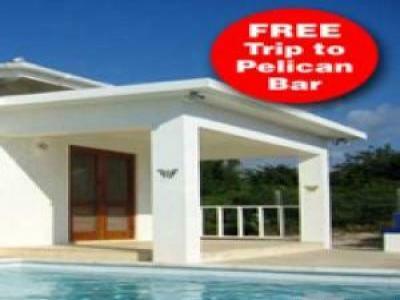 Plus, villa offers a FREE trip to Pelican Bar. on each additional night (excludes Christmas and New Year's weeks). charge for children age 2 or under at arrival time. Food and liquour are additional. A minimum 15% of rental staff gratuity is customary and required. balance and food/drink kitty due 60 days prior to arrival. primer on everything you need know about travel to/in Jamaica.